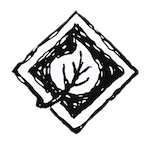 During the cold winter months deciduous trees and some shrubs lose their leaves, and plants that retain their leaves start looking a bit drab. There are some things you can do to keep your winter yard bright and pleasant throughout the fall and winter seasons. 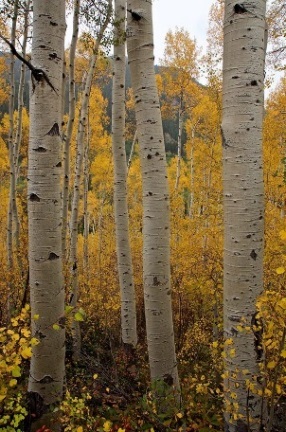 Birch Trees are interesting with peeling white bark, and several varieties will grow as far west as Missouri. The do well in cool, moist wooded soil and can grow to be 80 feet in height. The River Birch is the species you will see most in our state. Sycamores have peeling white bark and typically grow to be 75 to 90 feet. They can tolerate somewhat wet soil and need plenty of sun. Poplar Trees have white bark which is smooth. They grow to be 60 to 100 feet and need plenty of sunlight with dryer soil. Aspens are a medium sized tree that can grow to be about 50 feet tall in our Midwest zone. Bark color is white with dark spots which add the tree’s beauty, especially in the fall when the foliage turns bright yellow before falling off. White Pine has long soft needles and can grow to be 50- 80 feet tall. It can grow up to 2 feet per year and does well in full sun to partial shade. Blue Spruce got its name from its short waxy grey-green needles. When plated in yards or gardens it may reach a maximum height of 49 feet. Cedar Trees – there are many types of cedar trees which typically grow fast. They are sometimes used for a windbreak on large pieces of property and grow in a wide range of climate zones. Holly Trees are considered both an evergreen and ornamental. It has leathery leaves which stay green all year long and also yields red berries in the fall which is popular with bird species. Serviceberry is a shrub that produces flowers in the springtime and then fade to a dark purplish berry in early summer. Winterberry is another popular shrub that produces bright red berries for landscaping color and will feed the birds over winter. Black Eyed Susan with their yellow orange petals from midsummer through autumn. Coreopsis or Moonbeam have bright and light yellow flowers will bloom all summer long. Fernleaf bleeding hearts can bloom in spring summer and fall when the temperature is moderate. These are just some of the examples of trees, shrubs and plants that can liven up your yard for the fall/winter months. Mill Creek is ready to help design and install your fall colorful landscape! Call Julie at 442-1199. What’s the best time of year to build a Hardscape?